Kalamazoo College seeks to make sure our public website conforms to the World Wide Web Consortium’s (W3C) Web Accessibility Initiative (WAI) Web Content Accessibility Guidelines 2.0, Level AA conformance. This policy applies to web content produced or updated by Kalamazoo College. In addition, Kalamazoo College will ensure third-party providers are aware of our web accessibility policy, and will favor providers based on their accessibility conformance. 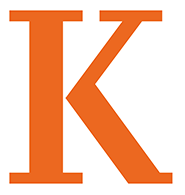 Key areas of the Kalamazoo College website will be reviewed quarterly for accessibility. request an alternative equally effective accessible format. This information will be compiled and considered during the review process. Any submitted feedback will be acknowledged within five business days. This policy will be reviewed annually. This policy was last reviewed on January 16, 2018.